Junk King teams are great problem solvers. Although they move fast, they also move efficiently. Then I can a Russian and yank something out of your house just to get it onto the truck. They’ll take great care with your walls and floors and the occasional cat! 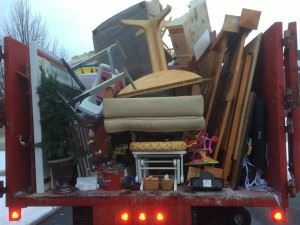 Whether your amount of junk will fill up the truck or just take up a little space, you can always count on Junk King to have it removed in a timely manner. And yes, it is certainly a lot better than doing it yourself! There really is no mystery with Junk King Cleveland: if you want junk gone, then they make it happen the fast and affordable way. This entry was posted in Cleveland Junk Removal and tagged Junk King, junk removal, reviews on September 25, 2017 by Junk King. Last updated September 25, 2017 .